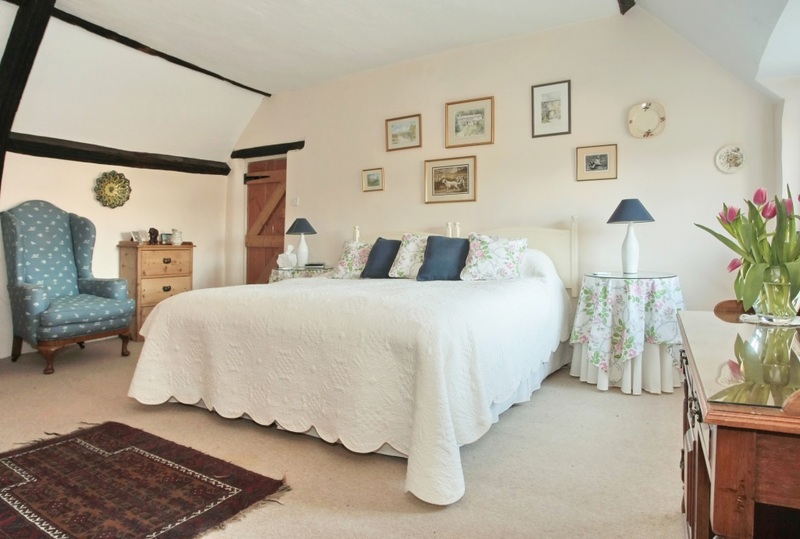 The spacious double bedroom, which overlooks the garden, is full of character and charm with exposed beams. It has its own private bathroom. As the bedroom is in a separate wing of the house the bathroom (for the sole use of guests) is, in effect, ensuite. Double Occupancy - £80 per night. is light and beautifully appointed.